I blogged a few days ago about the need to reduce the size of my Exchange 2010 SP1 book to bring it down from the 1,600 or so pages that Microsoft Press has estimated its current size to something more reasonable of the order of 1,100 or so pages. Still a heavy book, but maybe one that is still in the category of “portable”. 1. Eliminate unnecessary text – some thoughts that don’t add much value always creeps in over time, especially when you write over an extended period. I’ve been writing this book for just over a year now. 2. Eliminate unnecessary screen shots. It seems to be a trend of computer books to include a mass of screen shots to illustrate points. I see the value because it’s good to be able to validate what you see on your screen with the instructions given in the book. However, I think it’s fair to say that there are usually too many screen shots in books today. An average screen shot takes up about half a printed page so they do swell the size of a book. I have managed to eliminate 71 screen shots (there are still over 400 remaining) and I don’t think that their loss will compromise the integrity of the book at all. a) Hardware – reflecting on previous books, I conclude that it is a fool’s errand to write about hardware for any particular software release because the software and hardware change so rapidly. I therefore decided to cut the short chapter that I had to discuss topics such as the impact of the changes in the Store on storage options. b) Public folders – the cockroach feature of Exchange that cannot be eliminated by the product group because public folders are embedded so firmly into the IT operations of many companies, including many that bought into the original vision of “public fora” and electronic forms preached by Microsoft when they shipped Exchange 4.0 in 1996. Of course, this was proved to be an utter fallacy and no more than an immature and half-baked competitive move against Lotus Notes, but public folders have proved their value as replicated repositories since 1996. However, there isn’t much change around public folders in Exchange 2010 and so I decided that the chapter describing how to manage them had to be sacrificed. c) Moving Exchange to the cloud. There’s a lot of debate around using the version of Exchange included in Microsoft’s BPOS online service. 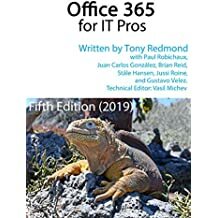 BPOS doesn’t include Exchange 2010 yet and while I think the chapter made many excellent points about the issues that companies have to face if they consider moving from on-premise servers to BPOS, it had to be eliminated to move the book towards an acceptable size. I’m still not done as there are more screen shots and text to eliminate. However, I think the major cuts have been made as I don’t see another chapter disappearing (some may need to be slimmed). The frustrating thing is that I learn more about Exchange 2010 every day and continually uncover facts and insights that could be in the book. Maybe I will end up with a second volume… now, that would be an interesting thing! This entry was posted in Exchange 2010, Writing. Bookmark the permalink. Tony, looking forward to the new tome. Visual cues are definitely very important to rapidly connecting the information given with the readers understanding of the interface or concept being described. Tony – have you considered releasing those chapters as web chapters? We did that with the “Exchange Server 2007 – The Complete Reference” when we had to chop them. We just released another chapter each month or too. Tony – have you considered releasing 2 books? Exchange 2010 Part1 and Part2? I like to have all available as paper, I know not very green but that’s me. Right now I want to get a book out… It’s hard enough to conclude a deal with a publisher to print one volume; I can imagine that it will take a lot more effort to convince them to do two!